ORLANDO, (INFOCOMM), -- June 10, 1999 -- Sony Electronics will showcase an array of products at INFOCOMM International 1999 that offer immediate impact on training, presentation, and other business A/V applications. Sony's range of expertise in audio, video, and digital technologies, and deep understanding of the corporate A/V marketplace, has led to a diverse product offering including more than 50 new products scheduled to be available as of this fall. "Sony has long been a part of several business A/V product categories, and has consistently demonstrated innovation in both product technology and application development," said Michael Vitelli, executive vice president of Sony Electronics' Broadcast and Professional Company. "From advanced projection systems to the latest in our line of digital high-definition products, Sony will continue to offer high-quality products that will meet the customer's need in any application and on any budget." Sony's latest innovations, including its high definition product offerings, will be featured in various places at INFOCOMM. While all of the latest products will be located in booth #501, Sony will also showcase its projection technology at INFOCOMM's 1999 Projection Shoot-Out®, its videoconferencing products at the Videoconferencing Pavilion, and its high definition product offerings at INFOCOMM's HD Experience. This year, Sony is introducing several new display products at INFOCOMM that offer excellent performance and convenience in LCD projection, rear-view projection, and flat-panel displays. The new Personal™VPL-PX1 LCD projector has been added to Sony's family of LCD projectors. Designed for easy portability, the 8.8-pound LCD projector provides outstanding brightness (1,000 ANSI lumens), XGA native resolution, stability, durability, and image quality. Offering 3,200 ANSI lumens, the new VPL-FE100 LCD-based projector provides bright, uniform, and high quality images from a range of diverse sources. The projector's flexibility makes it ideal for both medium and large venues, and can be double or triple stacked for greater brightness output and redundancy. Also new, the 8.2-pound VPL-SC60U Ultra Personal™ SVGA resolution LCD projector features outstanding brightness, low fan noise, reliability, durability, and image quality. 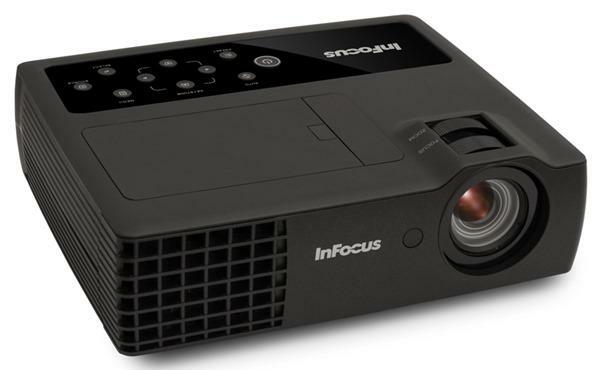 This new projector offers 650 ANSI lumens of light output in a very compact and portable package. At a width of 24 inches, the Sony Multiscan® X9200 LCD Rear Projection Display has been added to its KL series of Poly Silicon LCD presentation monitors. Developed for applications where size or portability is an issue, the X9200 display produces crisp, uniformly bright, high-resolution images over a 50-inch screen (viewable area, measured diagonally). Sony will also be showcasing two new high-performance, large-screen, 16:9 flat-panel plasma displays, the PFM-510A1WU and the PFM-500A2WU. At a depth of six inches, the displays are wall-mountable and well-suited for environments with high traffic, space limitations, or aesthetic considerations. Finally, JJTRON™ , Sony's newest member of its large screen line-up, will be introduced. This 80-inch (viewable area, measured diagonally) JumboTron® display screen is a totally self-contained, "Plug and Play" one-piece image processor and display. Sony's Communications Systems Division (CSD) will display several new products designed to expand its DVCAM™ line of preferred digital video products. From acquisition with the DSR-PD100 mini camcorder to post production with ES-3 and ES-7 EditStation® Systems for non-linear editing, the new offerings answer the need for cost-effective, high-performance digital video equipment for the business marketplace. Featured products will include: the new DSR-500WSL widescreen switchable 4:3 and 16:9 camcorder; the DSR-2000 VTR, supporting playback for all 25 Mbps DV-based formats; and the DSR-40 low cost half-rack size VTRs designed for portability. Used to deliver high definition video production for CBS Sports, The Adventures of Jules Verne, and The Tonight Show With Jay Leno, Sony will feature portable products from its popular HDCAMÒ high definition video product line. These include the HDW-700W, the world's first high definition one-piece camcorder, and the HDW-250 portable high definition VTR, for high quality, compact, and lightweight field production. Sony is also exhibiting two head-mount display devices with high-resolution LCDs, providing a simulated 30-inch picture in a lightweight eyewear form factor for a clear, large-screen perspective of computer, DVD, or camera-generated images. Intended for professional use, Sony's LDI-100 high resolution LCD is ideal for use in applications including virtual reality, airplane entertainment, remote operated vehicles, education, non-destructive testing, and viewfinder flight and driving simulation. Other imaging solutions on display will include an array of video camera technology from high definition point-of-view video cameras and 3-CCD color video cameras to pan/tilt/zoom video camera technology. Sony continues to offer award-winning videoconferencing products with the latest announcement of its videoconferencing set-top box, the Contact™ (model PCS-1500) system. The system is one of the smallest in the industry, and weighs in at only 6 pounds, 10 ounces. The compact size, along with a unique dockable camera, allows the Contact system to be easily integrated into a conference room or office environment. The system is compliant with the H.320 standard as well as H.323 ready (with full H.323 capability planned for October 1999). Along with the Contact system, Sony is also offering an optional wireless document stand, the PCS-DS150, with a built-in VGA/SVGA/XVGA scan converter. The document stand will be making its debut at INFOCOMM. With built-in 18x zoom lens, the document station provides 470 lines of resolution. It is ideal for 3D-object capture and graphics display. Additionally, the document station can easily integrate any PC-based presentation or application into the videoconference by simply connecting it to a PC or laptop. Sony is also announcing an expandable one-to-one audio cassette duplicator (model CCP-1100SF) here at INFOCOMM. The unit has been designed for cost-effective, high-speed dubbing at schools, businesses, and religious organizations. Using a single-cable, daisy-chain process, it can easily be expanded with up to ten additional duplicators (Sony's CCP-1400) to simultaneously reproduce 41 audio cassettes. Duplication time for a 60-minute tape is approximately two minutes, or 16 times faster than normal dubbing speed. Sony will also showcase the full family of video presentation stands and audio conferencing solutions for use in corporate training, meetings, presentations, and additional applications. The presentation stands are designed to display three-dimensional and flat objects, negative or positive film, and slides on TV monitors, or through video projectors. Sony's audio conferencing solutions provide the technology to facilitate single language and multilingual meetings and events. On the professional audio front, Sony is offering a host of wireless, MiniDisc, and sound- reinforcement tools. In wireless products, the WRT-808A Plug-On Transmitter converts any wired microphone to a wireless microphone. Sony will also be presenting the WRR-805A, a small, lightweight camera mount receiver featuring a headphone monitor. The WRR-805A is mountable on every Sony camcorder and offers four hours of operation (with two "AA" alkaline batteries). The Sony WaveHawk™ portable RF scanner (ICF-SC1PC), provides audio professionals working with wireless systems the ability to detect RF signals in a specific area before configuring a wireless system for a project. Featured MiniDisc products include the MDS-E11, a compact, single rack space professional MD recorder/player; and the MDS-E58, which at a suggested list price of $520 is the most affordable professional MD product offered today -- featuring optical digital I/Os, among a sample rate converter to allow digital recording from 48k DAT sources. The SRP-P50 power amplifier, which will be exhibited as well, along with the SRP-S720 and SRP-S320W speaker systems, both of which are designed for music and speech reproduction. Editor's Note: More information about Sony products can be found on the World Wide Web at www.sony.com/professional, or readers may call 1-800-686-SONY. Additional press information is available at http://www.sony.com/news. Sony Electronics offers a wide array of products and systems for image capture, production and display. Sony also provides specialized equipment and systems for data recording, duplication, electronic photography/publishing, videoconferencing, high definition video, interactive and security applications. Sony Electronics' annual sales exceed $10.5 billion.